It was my first year of teaching. 1 week before school, I was hired to teach 4th grade in a hot little classroom on the second floor of a very old building (I believe it was built in 1912, and I'm pretty sure not too much had been done to it since). I was the lucky heir to a classroom previously occupied by a teacher that was now basking in the glory of retirement. So what did that mean? I got all the crap that said retired teacher didn't need anymore and couldn't pawn off to their coworkers. The teacher had left pretty much everything that he didn't want to deal with on the shelves of the classroom. And there it all sat, all summer long collecting dust. Among the rubble - a class-set of social studies textbooks....from 1978. Yikes. Please tell me that these were not the current books that the students were using. I mean, I get that the facts about the American Revolution hadn't changed much since the late 1700's, but come on! How about you? 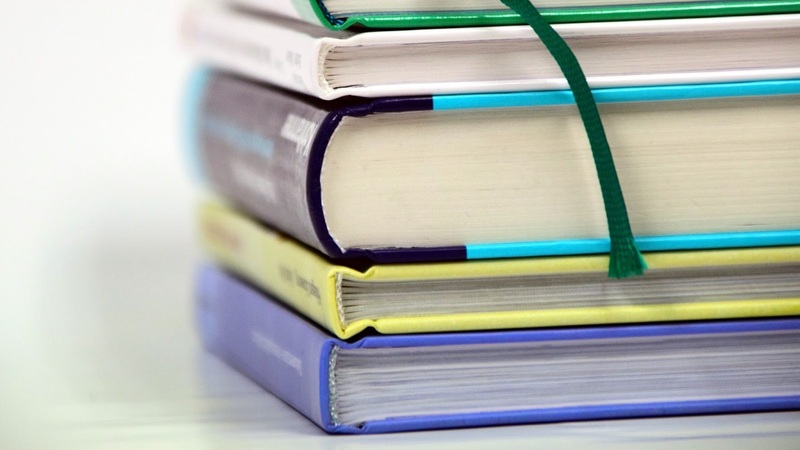 What's the copyright on your textbooks? Are they from the 20th century (because that was 17 years ago now! Hard to believe!)? Are they so boring that you can't even begin to fake it in front of your students? OK - what I'm about to share with you is NOT a quick fix, and I don't want to make any false claims that in 10 minutes or less you're going to have a solution to your textbook woes. But - what I AM going to share with you is that with a little work, you could have an amazing, more engaging textbook alternative that you'll be proud to present to your students. And you, dear teacher, are a go-getter, so let's do this! But - first, let's take a moment of silence to mourn the life of the textbook. OK - I'm ready to move on with my life, how about you? A gallery walk is a fabulous way to present new information to students that allows them to move around and interact with objects, pictures, and each other while learning new content. 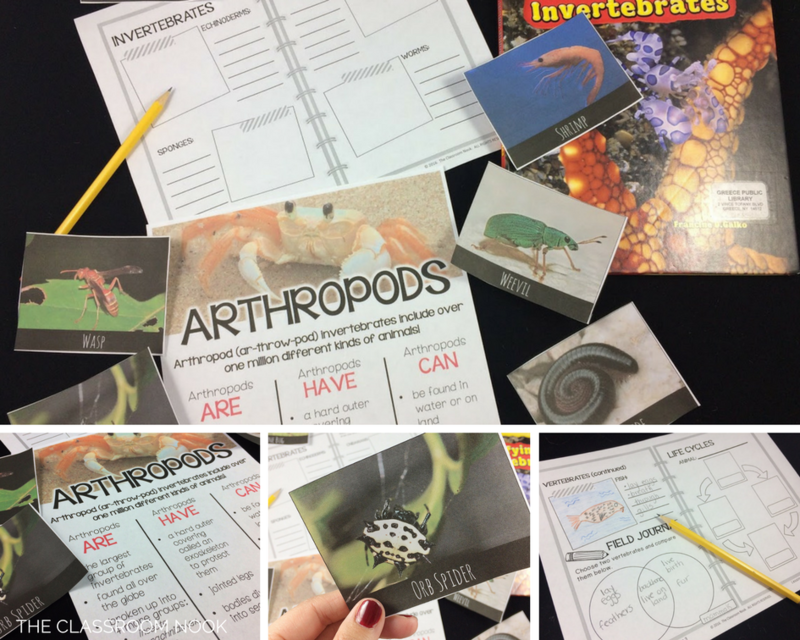 For example, to introduce different vertebrate and invertebrate animal groups during my animal unit, I created several posters, one about each animal group, for students to examine at each station. Along with the poster, I had picture cards with examples of animals found in each group. Also at the station could be books, articles, or any other object that relates to that animal group. As students went around observing each animal group station, they recorded information in their "student field guide" (that's code for student activity packet presented in a cute format :) ) There was also a piece of large chart paper and markers placed at each station for students to create a graffiti-like poster where they jotted down words, phrases, or even questions that came to mind about the animal group. A reverse activity for a gallery walk would be to have STUDENTS create the content to place at each station as a review of what they already learned. This would be a perfect authentic end-of-unit project for students to work on. 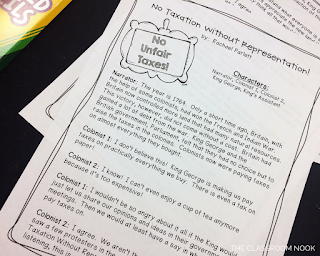 You might have each student choose or be assigned a sub-topic from your unit and create a visual representation to be placed in your student-made gallery walk. In short - take the content that is presented in your textbook and transform it into a more visual representation to be presented in a gallery walk. Have I ever talked about my love for creating reader's theater? If you've ever used any of my resources, you've likely come across a reader's theater script that I created to help teach students about a potentially boring topic. Take pollination for example. Reading about it in a textbook is a sure-fire way to lose your students' interest faster then they lose pencils. 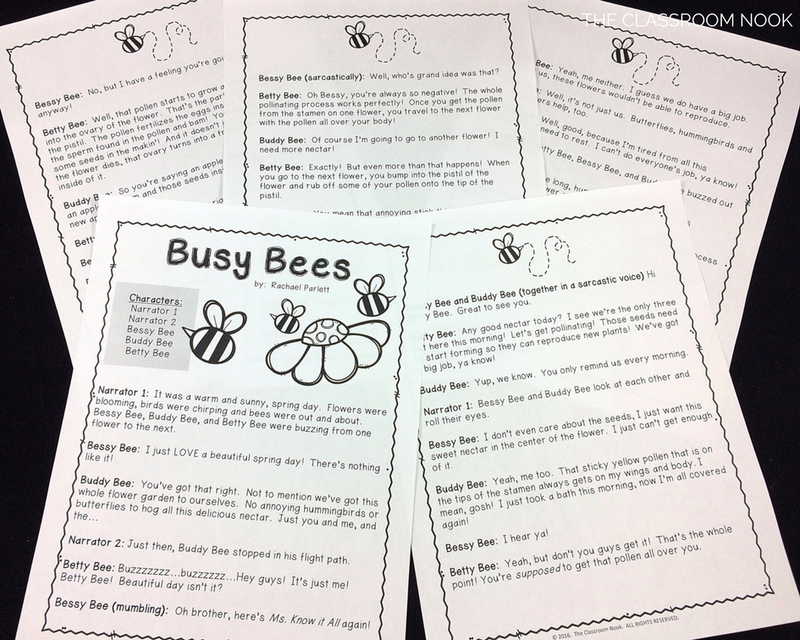 Put that same content in the form of a cute reader's theater where bee characters are narrating the process of pollination in humorous dialogue, and well...your students may still lose their pencils, but they'll be able to tell you how flowers are pollinated! See? It can be done for anything! No really - ANYTHING. It's really not as hard as it may seem. I simply take the information that I want students to learn from the textbook, and create characters to spit out that information in their dialogue. If I can throw a little joke in there every now and then that I know will make the kids chuckle, great! STEP 1 - Choose a topic that your textbook covers, but in such a way that puts you (and your students) asleep. 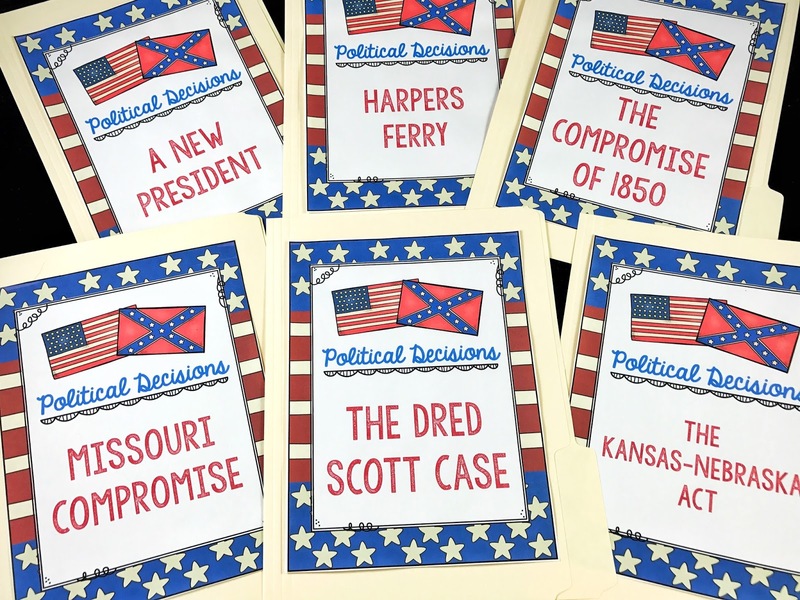 I've done discovery learning folders for Native American regions in North America, daily life for colonists, political decisions made during the Civil War, biomes, early European explorers and major battles of the American Revolution to name a few. I broke each topic into several sub-topics and created one discovery learning folder per sub-topic. 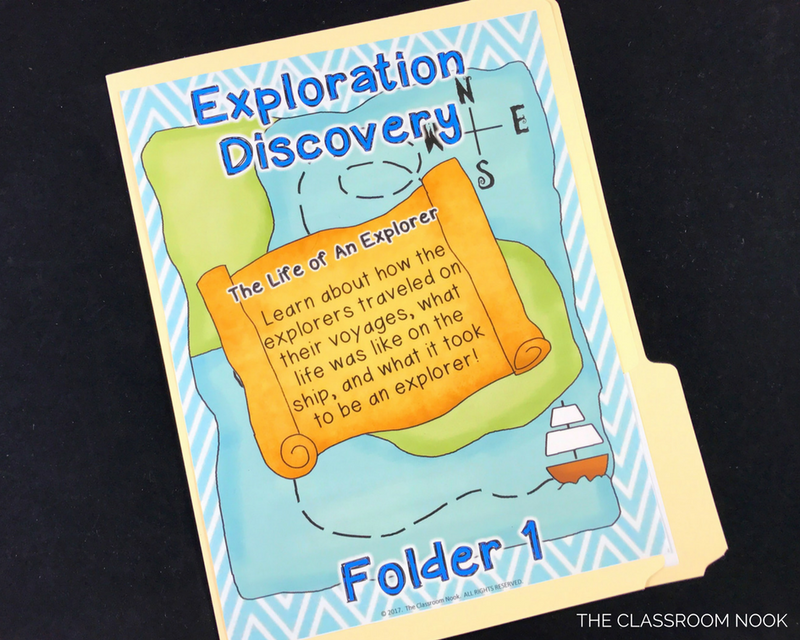 For example, for my early European explorers learning folders, I had one folder that discussed life as an explorer (shown below), another folder that discussed reasons for exploration, a third folder for presenting content on the countries that were involved in the Age of Exploration...and so on. Students then rotated through the folders. If you only need one folder for your topic, then you can create several copies so that students can still work in small groups. STEP 2: Open up a blank PowerPoint presentation (or whatever tool you used to create student resources). Create a cute cover page that includes the topic (or sub-topic) that students will be reading about. 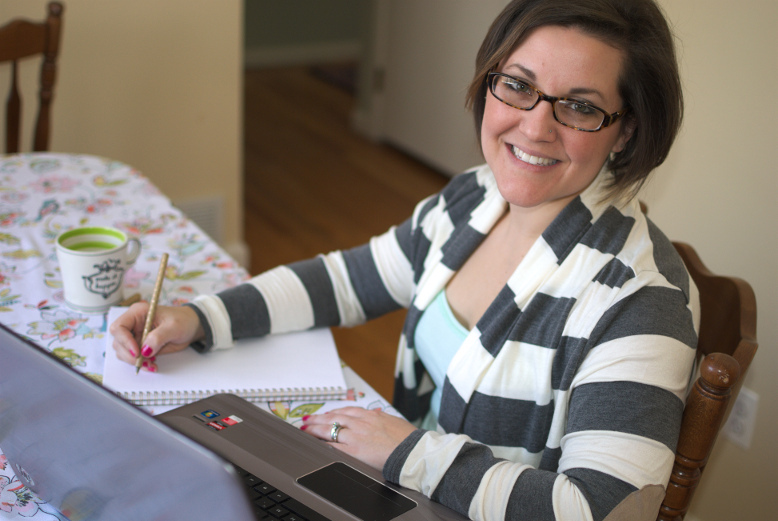 Add some cute clip art and images. 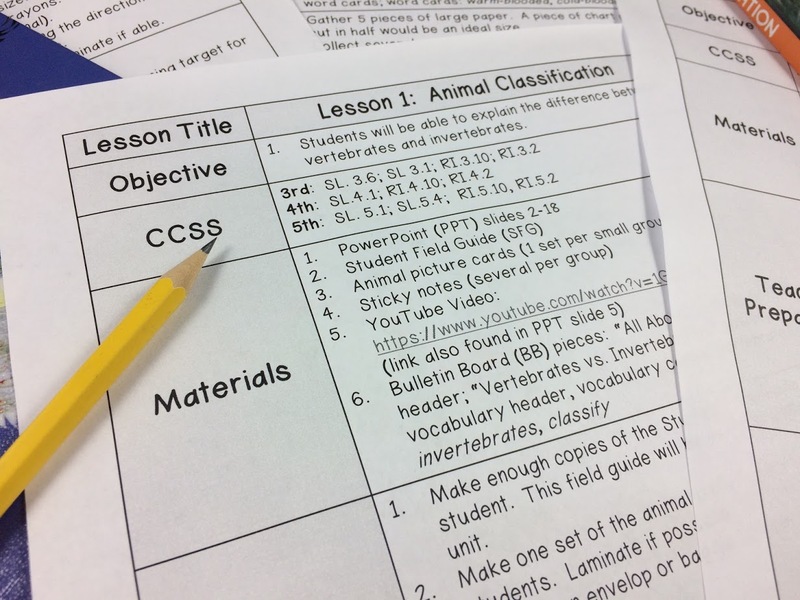 STEP 3: Create up to 3 pages that contains the information that you want your students to learn. This information can come right from your textbook. Pull out the information that your students need to know, but use more colorful language that you know will interest your students. 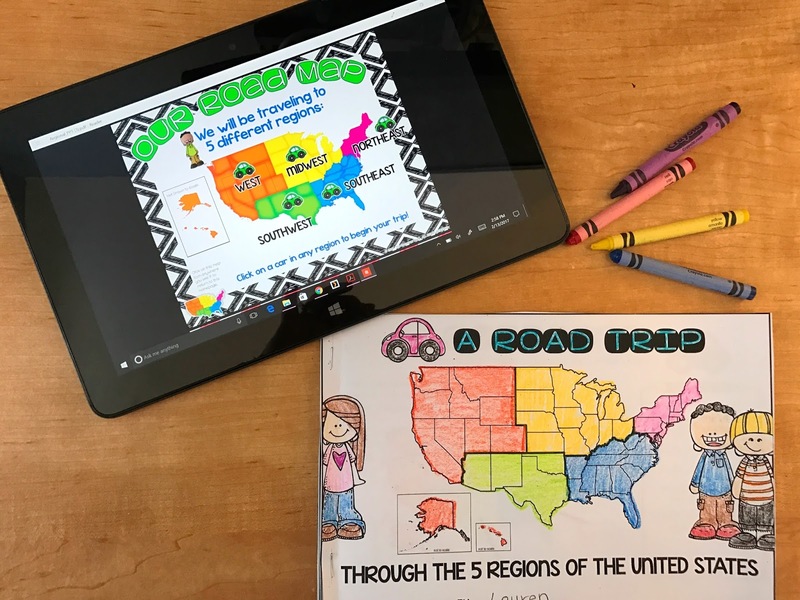 You can group the information into sections by using different headings and include lots of pictures, maps, diagrams, whatever visual will help students best understand the content. I sometimes like to include a few discussion prompts for students to talk about when they are in their groups. I put these on the last informational page. You can also sprinkle discussion prompts throughout so that students use them as they work through the folder. STEP 4: (Optional) Include an extension activity for students to complete after they've gone through the folder. 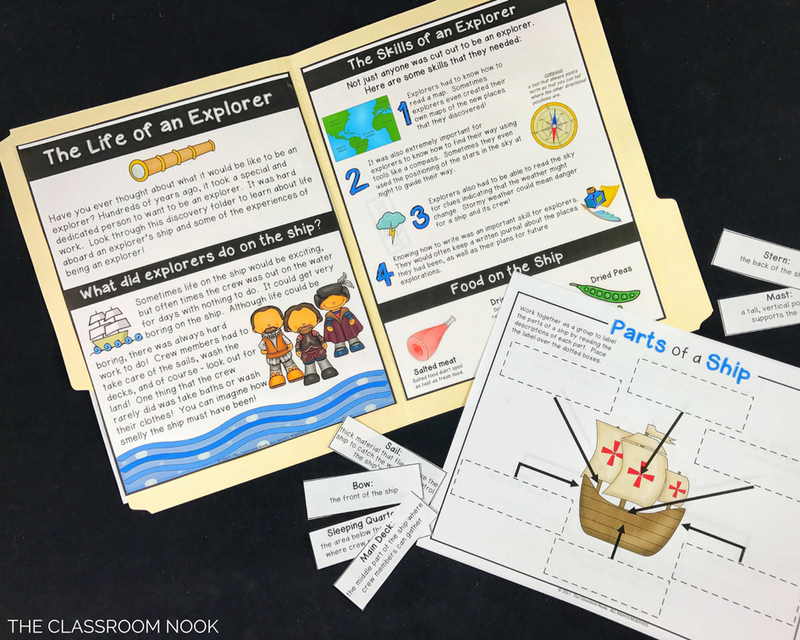 These activities might include a word sort, coloring and labeling a map or diagram, completing a page for an interactive journal...etc) Above, you see that when students were looking through the folder on an explorer's life, they were asked to label the parts of an explorer's ship. STEP 5: Glue your informational pages on the inside flaps of your folder as well as on the back if you have a 3rd page. Laminate if possible - you're gonna want to use this babies year after year! Try them out! They'll be a big hit for sure! 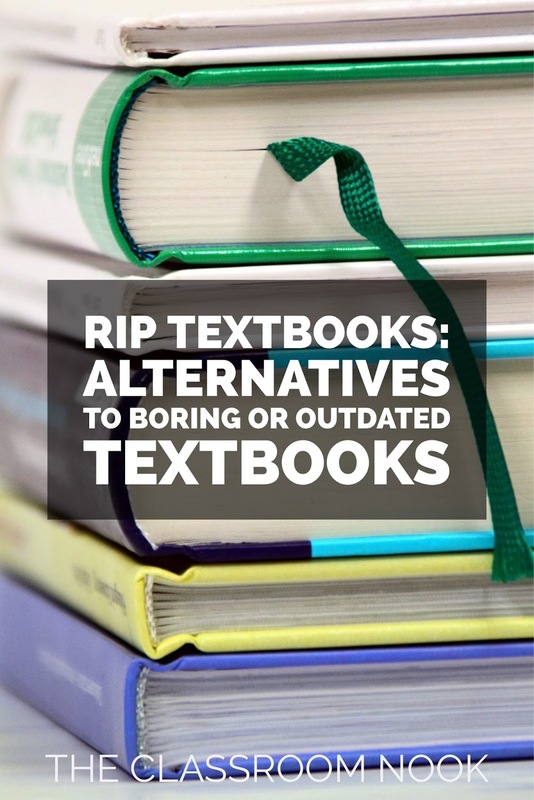 Alright - so if you know me and my teaching style, then you know I can't write a post about ways to replace a textbook and NOT include digital learning guides (DLGs)! But, if you're just visiting for the first time, you may not know what a DLG is! If that's the case, then check out this post where I go into GREAT detail about what they are, how to use them, AND even how to make them yourself! 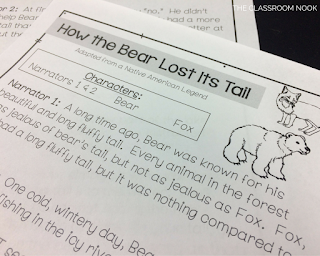 In short, DLGs are interactive PDFs where students can click around the guide at their own pace to learn new information. DLGs can even have links to outside websites that students can visit to take their learning even deeper. They're basically your one-stop shop for learning! I saved this textbook successor for last, because I'm fully aware that it takes the most prep on your part, but I also believe that you'll get the biggest bang for your learning buck as well! Students. love. digital. learning. guides. PERIOD! They love 'em! 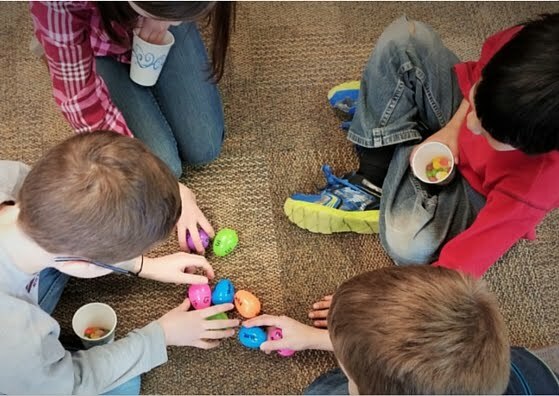 They can learn at their own pace, on their own digital device, and feel like they are playing a game the whole time! Once you create them, you will find that your students will craaaaave them! 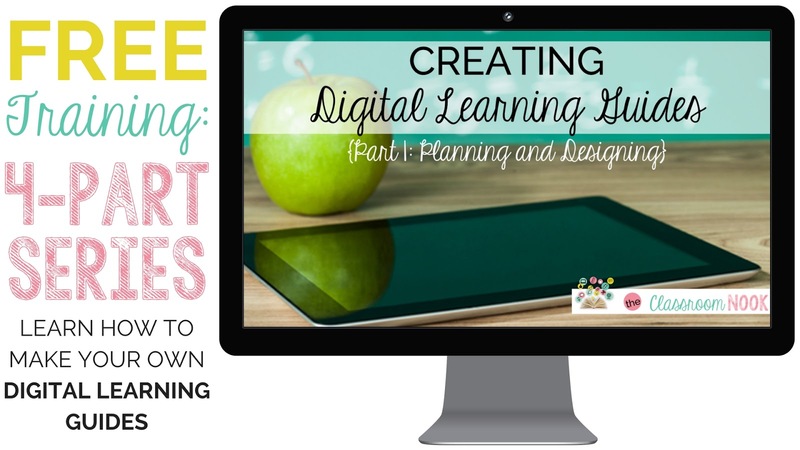 Not only can you use the information in your textbook to create the components of your digital learning guide, but you can enhance the content by linking your DLG to YouTube videos and kid-friendly websites that will allow your learners to experience the content on a deeper level. Well, there you have it: 4 modern alternatives to using textbooks in your classroom! Which one will you tackle first?